Local landscapers share their favorite flowering trees that will give your landscape character and curb appeal. Venus Dogwood, Sarah Riley, Bowood Farms. Photogarphy courtesy of Blue Heron Farm. Yellow magnolias, Ann Lapides, Sugar Creek Gardens. Diane Witch-hazel, Andria Graeler, Chesterfield Valley Nursery. Photography by Andria Graeler. Oklahoma redbud, David Sherwood, Sherwood's Forest. Serviceberry, Richard Poynter, Poynter Landscape Architecture + Construction. Chinese Fringe tree, Justin Verbryck, Frisella Nursery. Montmorency Tart Cherry, Laura Caldie, Maypop Coffee & Garden Shop. One of the first signs of Spring are when the flowering trees begin to bud and spread their color. Local landscapers share their favorite flowering trees that will give your landscape character and curb appeal. 1. 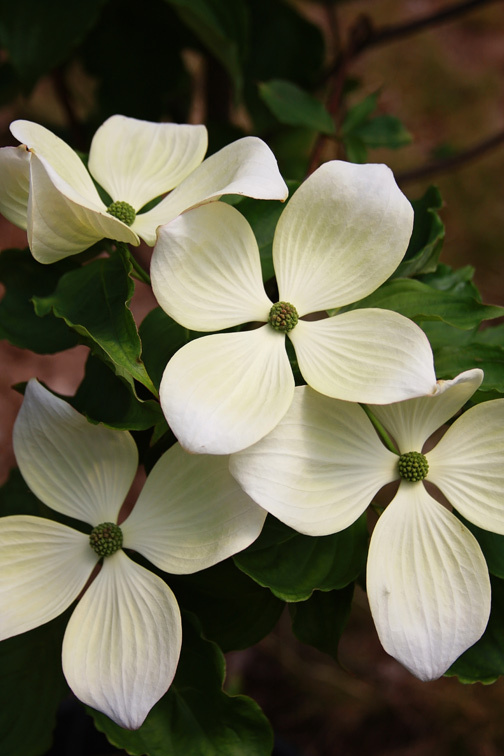 “The Venus Dogwood is distinguished by its oversized, creamy white flowers, sometimes exceeding 6 inches in size! You can expect an abundance of flowers in the spring and summer paired with glossy dark green leaves. In the fall months the tree produces strawberry-like fruit and a beautifully changing foliage.” Sarah Riley, Bowood Farms. 2. 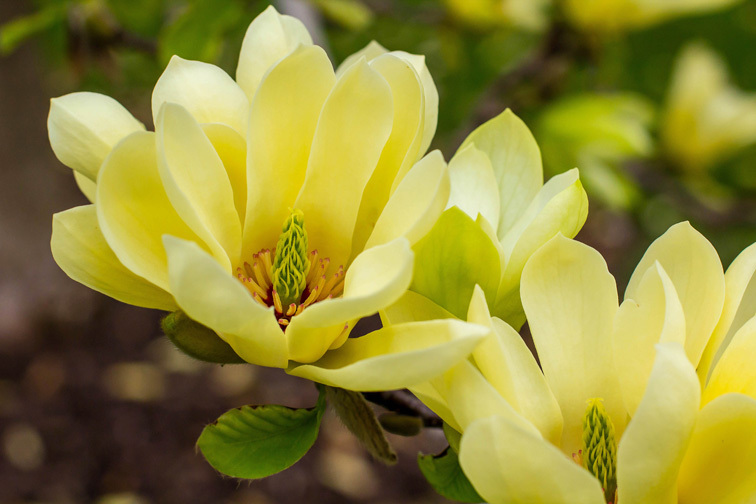 “One of the earliest trees to bloom, Yellow Magnolias are a magnificent sight, especially after a long cold winter. They are available in a range of colors from soft buttery yellow to flowers that are drenched in vivid orange. My favorite varieties include 'Elizabeth,' 'Butterflies,' and 'Sunsation.' They work well in garden beds, as flowering hedges, or as specimens.” Ann Lapides, Sugar Creek Gardens. 3. “The Diane Witch-hazel is a definite favorite here at the nursery. This unique, fragrant bloom is always the first pop of color every year. 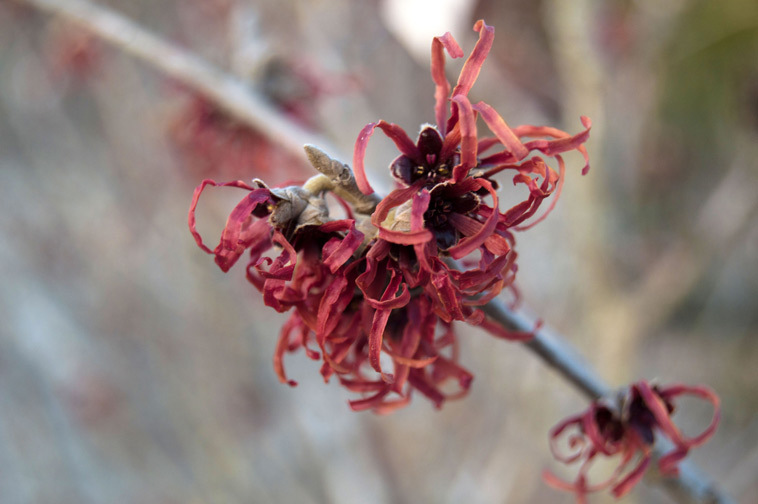 From offering a unique texture to showing us that first glimpse of spring, this witch-hazel will be a sight for sore winter eyes every February.” Andria Graeler, Chesterfield Valley Nursery. 4. 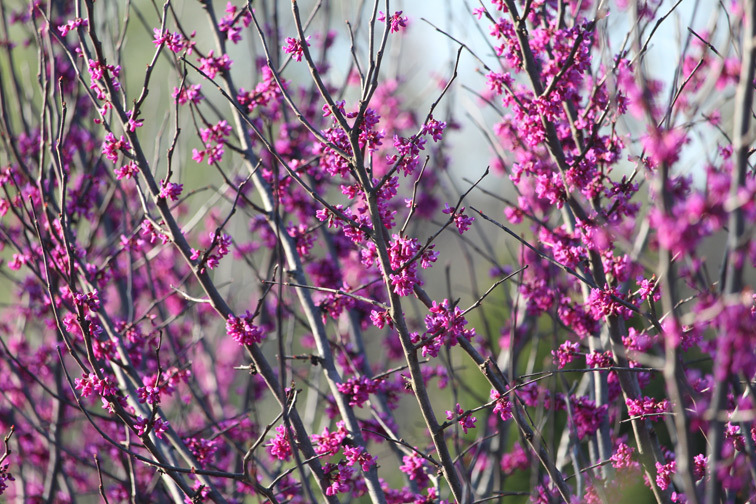 “The Oklahoma redbud is a beautiful garden tree valued for its timing; petite purple-red flowers on bare branches bridge the gap between winter and spring! New foliage has soft-pink tint, maturing to rich green. Deciduous.” David Sherwood, Sherwood’s Forest. 5. 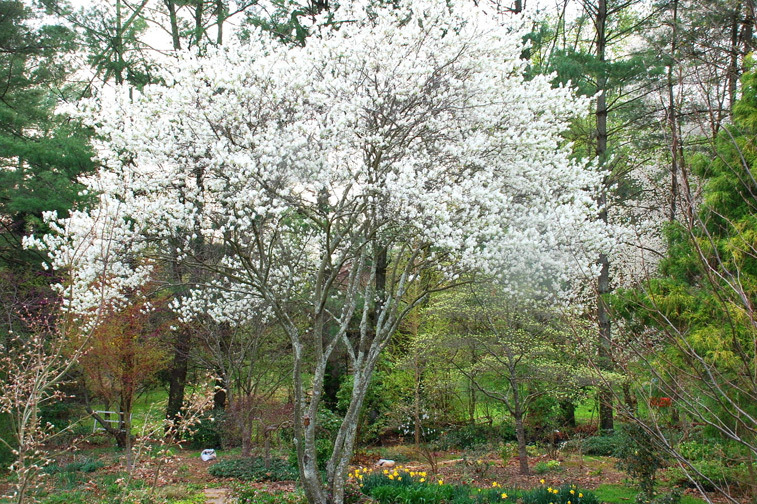 “Serviceberry is great as it offers interest in every season. It starts in spring with beautiful white flowers. The plant's bright green or bluish green leaves turn stunning shades of red and orange in fall, and its silvery bark and multi-stem form offer winter appeal.” Richard Poynter, Poynter Landscape Architecture + Construction. 6. 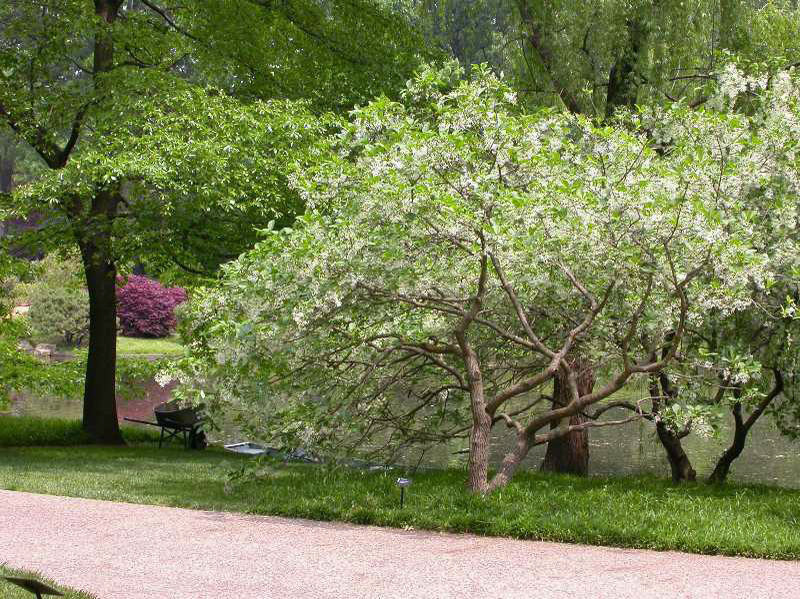 "The Chinese Fringe tree, Chionanthus retusus, is my personal favorite flowering tree. Also nicknamed 'old man's beard' in the south, this ornamental tree displays captivating slender white flowers backdropped with lustrous green foliage. The tree turns an attractive yellow hue in the fall, and the bark also offers great ornamental value in the landscape year-round with show displays of gray and brown.” Justin Verbryck, Frisella Nursery. 7. "Montmorency Tart Cherry is a striking Spring bloomer, with dark, deeply textured wood and the added benefit of edible fruits! 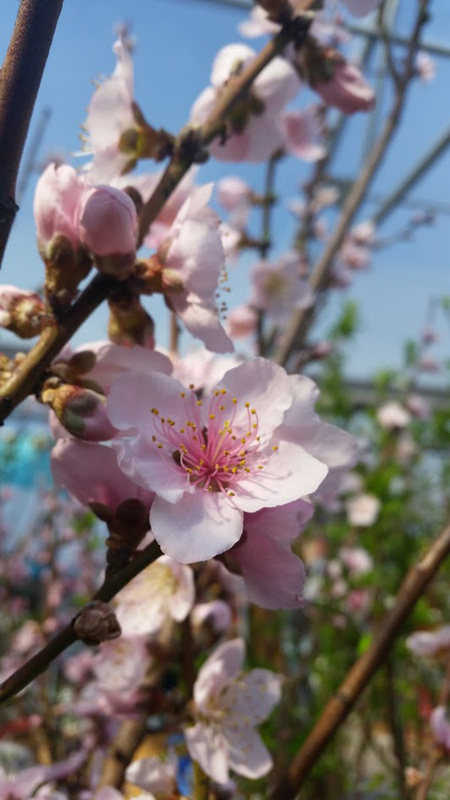 These attributes make it a four season stunner that is hardy, easy to maintain, and much less susceptible to common fruit tree issues than most." Laura Caldie, Maypop Coffee & Garden Shop.